Lara plays with her Leapster GS about twice a week (I find it ideal for distracting her while she waits at the side of the pool during Holly's swimming lesson) and last month Lara was one of the first to try out the brand new Disney game from Leapfrog - Minnie's Bow-Tique super Surprise Party. Minnie's Bow-Tique is available as a cartridge or download for the Leappad (1 or 2), Leapster GS or Leapster Explorer and costs around £20 (which in my eyes is a lot to pay for a children's game, regardless of the educational qualities of the game, or the famous characters it features). 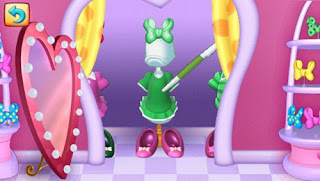 Given the price tag, I was hoping for a lot of entertainment value from Minnie's Bow-Tique and I wasn't disappointed. Lara has played it a LOT since we downloaded it, sometimes for upto an hour at a time... Lara concentrating on anything for this long is almost unheard of. I think that the attraction to Lara is the desire to "earn" ribbons for making new bows. This is something that drives her and she will quite often call to me, wherever I am in the house, beaming with pride for having earned the next colour of ribbon. 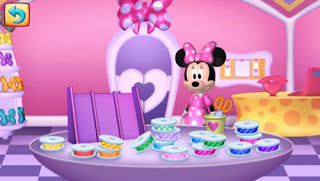 Minnie's Bow-Tique Super Surprise Party is designed for children from age 3-5 and is absolutely ideal for Lara right now. It features three main games - dressing Daisy duck in different outfits (good for younger children still learning colours), sorting out butterfly bows (teaches basic phonics) and a hide-n-seek game for memory. Throughout all of the screens there are lots of different items to explore and investigate as well as mini games such as bow-making for all Minnie's friends. Lara's favourite game is sorting out the butterfly bows as it is a challenge. Bows with pictures of objects flutter over the screen while a voice sounds out the phonics of one of the words. Your child has to identify the butterfly that matches the word and then drag and drop the correct butterfly bow into a box. It is quite a challenge for Lara but I think that she will quickly pick it up. To me, the game would benefit from visible letters as well as the sounds of the words. I was also a little disappointed in the number of words in one round of the game... the game was very quickly over. I think that Minnie's Bow-Tique Super Surprise Party is ideal for little girls looking for a good mix between play and gentle learning but I think the price is too high; there isn't enough content to justify the price tag. 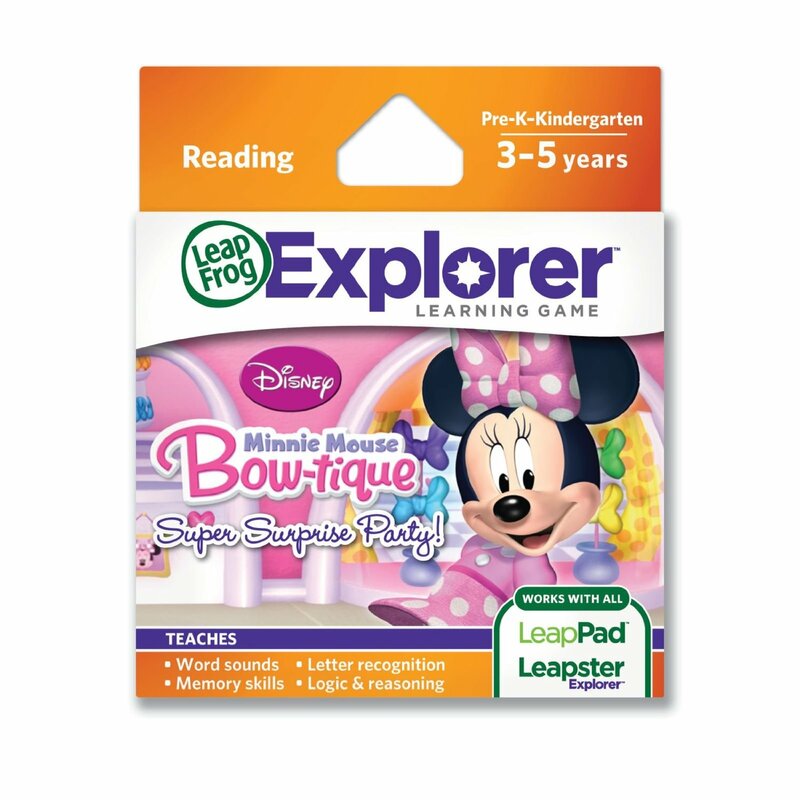 If you are thinking of buying this game for your Leapfrog toy then I'd advise purchasing a download card from amazon (where they are quite often on offer) and redeeming it online as this seems to be the most cost-effective way of buying new apps.